Compute in the cloud and storage on premises ? Are you serious ? I was lucky enough to attend Tech Field Day Extra at VMworld and one company that really raised some eyebrows was Velostrata as they presented their vision for hybrid cloud. Not Hybrid cloud in the traditional sense from running VM’s on premises and running VM’s in the public cloud but a mesh of the two leading to an interesting proposal. What can this company offer consumers that other companies haven’t tried already ? Read on to hear my take…. The solution essentially allows a company to run virtual machines in the ‘cloud’ but keep its storage on premises. Strange concept when you hear it initially but what Velostrata have done is to think about security, cloud bursting and storage consolidation to name a few items. The founders of the company have vast experiences from working at network optimisation companies such as Cisco and Wanova so they sounded like they knew the challenges they want to solve before founding the company. The diagram below sums up the solution. 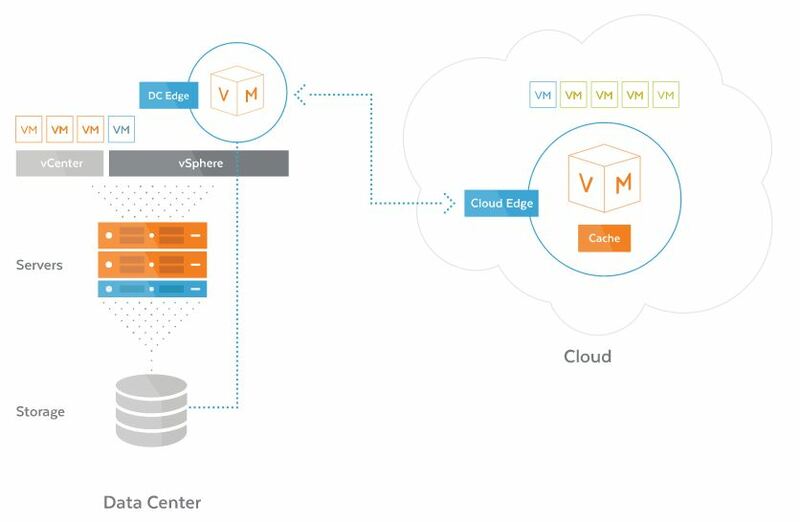 The secret sauce here is the DC edge and Cloud Edge virtual appliances that essentially stretch the on premises DC to the cloud of your choice (currently AWS but more on the horizon). This means that workloads can then be migrated to the cloud (Disclaimer : involves downtime) but the storage is kept in the datacenter. If you need to move the workload back then you can do so. The demo that was presented was very impressive as they showed a Windows 2012 VM booting up from the Cloud using storage that was back in the datacenter. The cloud edge is able to cache frequent blocks and also has a lightweight boot loader in the cloud thereby allowing VMs to start up in a rapid version. This would have happened a lot faster for a Linux VM but Velostrata were keen to show us that Microsoft operating systems can also benefit from rapid boot times. The technology is fascinating and I can only see more development happening pushing towards the GA for the product with some additional features that would be nice to have. (Currently under beta testing with many customers). Disclaimer : I was a Tech Field Delegate and was not paid to write this article. All expenses were covered by Tech Field Day including Travel and accommodation. All opinions are my own and do not represent the company I work for.